Our next FoodMinder on the Meet our Staff segment is..
Annie Buckley, an Administrative Assistant in our Washington, D.C. office. 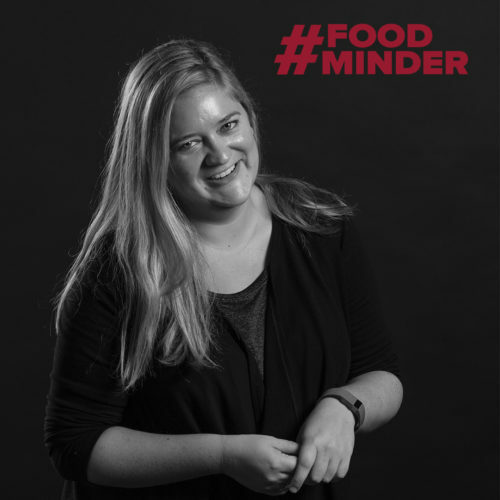 In her role, Annie provides support on all clients accounts and internal teams, as well as managing day to day activities for all of our FoodMinds offices. She earned her bachelor’s degree in Sociology at the University of Virginia. Read more about Annie below! How would you describe your role in one sentence? What career would you choose if you had an opportunity to switch jobs for the day? How do you stay organized at work?